With world-class research and expertise in our universities, fascinating insight provided by our think-tanks, and creative thinking throughout our communities, Scotland has great resources to draw on in looking to the future. Scotland’s Futures Forum works with our key partners in academia and beyond to bring these resources to our Parliament. “The Goodison Group in Scotland is a charity, solely dedicated to issues of learning through life. We believe civic society should be active stakeholders, contributing ideas and influencing the thoughts of policymakers and decision makers. We are an independent think tank that considers education and learning, whenever possible, far beyond the immediate horizon. We bring together a cross section of society, including influencers from education, government and business (including the third sector) and through discussion/debate, develop insights and model future scenarios. Crucially, we seek to provide an informed context for longer term policy and ideas for innovative practice, some of which we hope also has resonance in the nearer term. The Goodison Group in Scotland is an entirely volunteer led organisation governed by a Board of Directors. In addition there is a Company Secretary and Programme Manager. 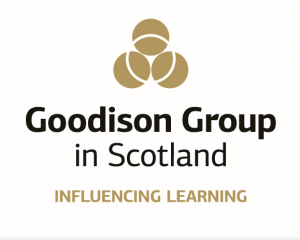 Our current collaboration forms part of the Scotland 2030 Programme, with the Goodison Group in Scotland investigating future schooling, education and learning approaches. Click here for more information about this work.